Yesterday, while looking into our guest room closet for a dress to wear to an upcoming wedding, I once again noticed two of Amy’s coats. My husband had placed those coats in the upstairs closet in an effort to spare me additional pain since I could no longer handle seeing them hanging in our main coat closet. The same closet where Amy collapsed in front of on Devastation Day. It wasn’t like I was having a good day or feeling particularly brave yesterday, but all of a sudden I realized these coats hold no purpose in my closet and I had this strong push to donate my sweet Amy’s coats. Actually, I remembered hearing it was supposed to be a cold winter and thought maybe my baby’s coats could help keep someone else warm this winter. So I took a deep breath and pulled out the coats, emptied the pockets — without examining the contents — hugged and kissed the coats before gently placing them into a bag. Amy had two fetishes: coats and shoes (especially sneakers). She would find a coat in her favorite store, Express, and return a few times before she would buy it. While waiting for a sale to justify the purchase, she would ask me to meet her at Express on our lunch hour so she could show me the coat she was considering buying. It always amazed me how reluctant she was to spend money on herself, yet she would give so generously to others without batting an eye. Always, always generous to a fault. Oh how I miss that sweet precious one of mine. As I walked the coats downstairs, I decided this painful task is all I can manage and it may be 14 more months before I even consider opening up her closet again or rummaging through her prized possessions. The point I am trying to make in this posting is no one has any clue how difficult the day in a life of a grieving parent is as they travel through a regular day. Normalcy seems out of my reach at the moment. Peace of mind is a luxury which so many take for granted and which I miss so much. Last night I tried listening to a guided meditation which before Devastation Day, helped me to fall asleep. As the meditation spoke of picturing your happiest moments, I began to cry. As the meditation went on to ask you to fast forward five years and to picture all of your hopes and dreams coming true and how happy you were feeling, I sobbed. The future has lost so much of its sparkle. Of course, I suppose good stuff may happen, but the invisible wound will always remind me how I will never ever have total peace and joy again. Impossible without Amy. 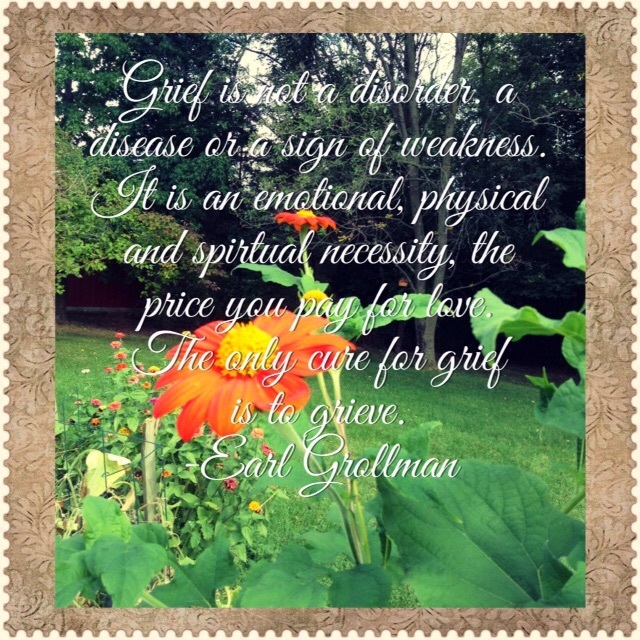 Grief respects no boundaries as it shadows you wherever you go. Who would ever think that two coats could derail a day? Who would ever think that the mere idea of parting with your child’s personal belongings could push you to place of such despair? Who would ever think I would feel the need to hug and kiss a coat and beg for forgiveness as I placed it into a bag? Unless you have walked on this lonely road, living in a world without your child, there is no way to know how painful and complicated life becomes on the other side of Devastation Day. There is no way to understand the sentimental value of two coats carefully selected by someone I love so very much. That’s a huge step to take Dee; one I’m not ready to do yet so I admire your ability to think of others first. I agree with Dale; Amy got her heart from her mother. Wishing you peaceful days with each step we’re forced to take. You got me with this blog. One wasn’t the brown one we bought her on that Friday night right before Christmas was it?